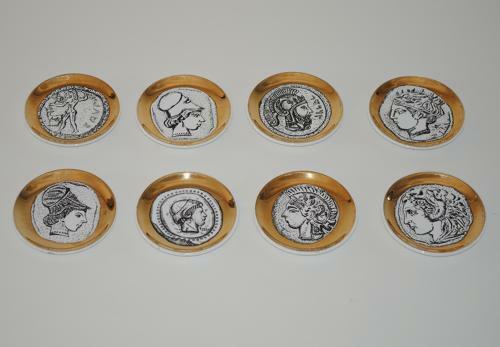 Lovely full set of 8 china coasters featuring Roman coins. Lithographic images and gilding on porcelian. Bucciarelli was a leading producer of post-war high end objects for designers such as Fornasetti.